Femulate: My Store is Closing! 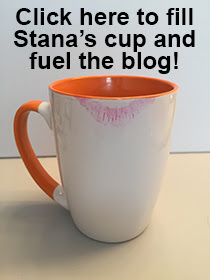 In March, I opened Stana’s Femulate Boutique, an Amazon aStore, where you could purchase items on Amazon that I use and recommend. This was in response to readers who asked how they could support the blog monetarily. Amazon recently announced that they will be phasing out the Amazon aStores and by the end of October, all the aStores will be gone including mine. To tell you the truth, business at my aStore was slow and after initially investing a lot of time and effort into the business, I was so disappointed in the results that I stopped wasting my time with it. Although my aStore is closing, my blog posts will continue to have links to Amazon. If you click on one of those links that takes you to Amazon and you make a purchase, the blog receives a percentage of your payment. Anyway I want to thank the few who did support my aStore and thus, my blog. But it was hardly enough to give me the incentive to continue much longer. 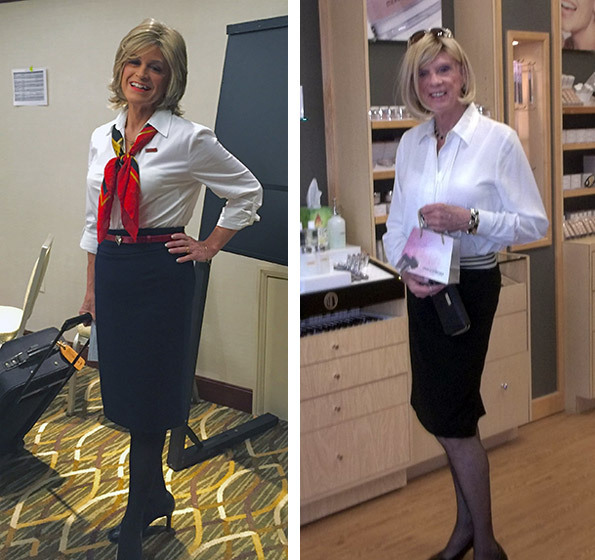 Throwback Thursday – Eve and Marie – When a "Flight Attendant" was a "Stewardess"
I can remember "the good old days." Thus I don't choose to fly in big cattle cars with wings and jet engines. Trains are much more civilized...and you can carry more!